Popplet Lite will be free forever, but is limited to just one popplet. The full version of Popplet lets you create an unlimited number of local popplets, which are stored on your iPad. You can also use the full version to create online popplets, which can be shared with and edited by other Popplet users, both on the web at popplet.com and on their iPads. UPGRADE NOTE: If you are upgrading from Popplet Lite, you can transfer your Popplet by choosing "Select All" from the gear menu and then "Copy". Then switch to Popplet (the full version) and select "Paste" from the gear menu.
? 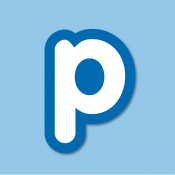 Share popplets with anyone! Una estupenda y sencilla herramienta que permite crear mapas mentales y colaborativos donde varias personas pueden participar en la elaboraci�n de un mindmapping o un esquema de un tema. Adem�s se pueden almacenar y compartir. Me gusta para sintetizar los temas y realizar esquemas lo malo es que es para conceptos muy cortos, pero es visualmente muy atractiva.